In the category of Jewish-Christian Dialogue, the award for the best back-handed compliment goes to Pope John Paul II who in 1986 went to a Rome synagogue to pray with the city’s Jewish community. Noting Christianity’s unique bond with Judaism, he said, “You are our beloved brothers … you are our elder brothers” in the faith of Abraham. (see: Catholic News). More recently, Pope Francis described the Jewish people as the “big brothers” of his Roman Catholic flock in words of solidarity marking the 75th anniversary of Kristallnacht. Why a compliment? Because we Jews are raised with a conceit… that Christians cannot possibly understand their religion without understanding Judaism, the religion of Jesus. We may be a minority and have been oppressed, but when all is said and done, our religion preceded and gave birth to Christianity… the two popes exploited this conceit. Why a backhanded compliment? For those familiar with the Hebrew Bible, you know that the God of the Jews favors the younger brother.. from Cain and Abel until King David and on…. 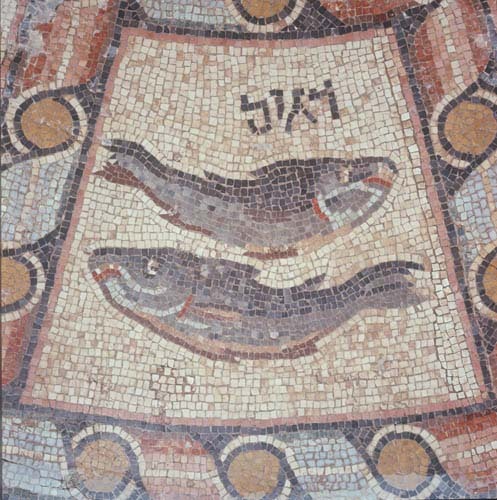 For a complete analysis of the history of this birth-order election tug-of-war see the brilliant: Two Nations in Your Womb: Perceptions of Jews and Christians in Late Antiquity and the Middle Ages by Isræl Jacob Yuval. As Daniel Boyarin argues in his book Border Lines: The Partition of Judaeo-Christianity, both Rabbinic Judaism and Christianity were created in the chaos formed by the loss of the temple and the Jewish Commonwealth in the first centuries of the Common Era. And…. it turns out, both “religions” increasingly defined themselves in counter distinction to the other. For the purposes of the present discussion, what this means is that both faiths jettisoned beliefs held by the other. So in his more popular book, The Jewish Gospels, Boyarin argues that if the early Christians were looking to convince Jews of their authenticity, it would hardly make sense to cite unheard of concepts and novel ideas to prove that they were the true heir to the throne. If they claimed that Jesus was divinely born and/or needed to be sacrificed, Boyarin argues, that must have been the expectation of the general Jewish population of the day. Similarly, if early Christian Jews claimed that the Godhead had multiple manifestations, then this belief must have been resident among fellow Jews. And in his writings, Boyarin proves that these beliefs were in fact, held by Jews of the time. As the break between the two religions grew over time, the border lines became less porous. Previously common beliefs, rituals and traditions were divvied up as in a zero sum game. So the two Popes have my appreciation for reminding me of a once important thread in my tradition, the election of the younger brother, which we jettisoned at the border and had forgotten about to the point where most of us smile with appreciation when we’re referred to by the leader of the Catholic Church as the older brother. The two Popes get my appreciation, because in our new world where hostilities have ceased and Jewish Christian dialog is fashionable, we Jews are now free to roam around the Gospels (and the rest of Christian scripture, liturgy and literature) to reclaim customs, traditions, rituals, expressions, beliefs and even polemics that we discarded and buried long ago in what I call the Gospel Geniza. In my next post we’ll explore this treasure trove, hiding in plain sight, for Jewish artifacts that impact the Passover celebration. 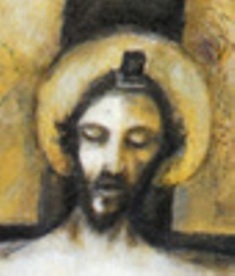 Hametz – See Mark 8:15 “the leaven of the Pharisees and of Herod” and the connection between purging leaven and repentance. * i.e Christians, especially Catholics, have not fully worked out how their older brother need not be rejected and replaced by the younger brother for their new testament (covenant) to be valid, and Jews have not expanded their rudimentary category of natural religion (Noachide Religion) to include other eschatological monotheistic religions such as Christianity which have valid but alternative conceptions of the Godhead and end-of-days. The prayer starts with gratitude. It is לפנך …. in the moment. The prayer does not reference God. It is a prayer of gratitude, in the abstract, without an address… just gratitude. It is imminently personal, in the first person (unlike the prayers to follow). And finally, the first reference to belief (emunah) every day, is not to our faith in…. , but rather in a higher being’s faith in us. Surely the LORD’S mercies are not consumed …… They are new every morning; great is Thy faithfulness. What’s the back story to this gem of a prayer that comes too early in the day for anyone to notice but sets the tone for the whole morning service? It turns out that the modeh ani prayer was not written by a humanist. The simple reason that God’s name is not mentioned, is that the awakening individual has not yet washed his/her hands so God’s name cannot be spoken. Not surprisingly, the next prayer is the prayer on washing one’s hands. Which begs the question; why not wash one’s hands and then say a proper prayer? Unlike the simple washing of one’s hands before prayer or study, this first morning wash is done with a blessing. I’ve always enjoyed thinking of Shabbat as a taste of Olam Haba’ah (the world to come), unfortunately, thinking of sleep as a taste of death doesn’t give me the same lift. But the Rabbis are doing something quite remarkable here. Death lies at the heart of all impurity (tumah) טָמְאָה. Whether one comes into contact with a corpse, menstruates, gives birth to a child, has a nocturnal emission or is afflicted with leprosy, in one form or another one has been separated or deprived of life or exposed to decay. In biblical times, the opposite of tumah was access to the temple upon becoming clean. The rabbis introduced a radical dogma to post temple Judaism.. the belief in the resurrection of the dead. And in the prayerbook they have an agenda to weave their belief in the ressurection of the dead (techyat Hametim) into our prayers. They start with Modeh Ani. But here’s the punch line: If sleep is a taste of death, then waking up is a taste of resurrection! …..or as R. Alexandri interpreted it: From the fact that You renew us every morning, we know that great is Your faithfulness to resurrect the dead. I’m not a big believer in the resurrection of the dead, but even I consider resurrection of the dead, diluted to 1/60th (batel b’shishim) to be kosher! If when the Rabbis woke up they got a taste of resurrection, when I get up and read the same prayers, I am refreshed with a taste of the possibility of being re-born on a new day… every day! With this resurrection-lite in hand, I can follow the rabbis through the morning prayers with new insight and gratitude. If the Shabbat is a taste of a better world, the morning prayers, starting with Modeh Ani become a taste of being reborn…. radical renewal. Washing our hands and face when we first wake up and again before prayers (something that has remained more within the ritual and sanctuary architecture of Christianity and Islam) should refresh us. The prayer is beautiful, but if you have said it before, you may not have noticed the ending.. “who restores souls to dead bodies”. Armed with our understanding of rising in the morning as an exercise in rising from the dead, not only does the prayer make sense, but, as only a taste of rising from the dead, it retains its beauty but with new empowerment. The other morning blessings also take on new meaning. The whole list of blessings that thank God “who made me “in His image”, “a Jew”, “free” make more sense if we are newly created … each morning. “Clothing the naked”, “releasing the bound” מתיר אסורים and “straightens the bent” זוקפ כפופים relate directly to the steps of rising in the morning… but also the steps of being born again, and tie directly into the Ashrei (Psalm 145 and Psalm 146) and the second blessing of the Silent Prayer (amidah). We are beginning to see how central to the theme of the morning service, this thread of reviving the dead becomes. The climax of the early morning blessings is the last one… Thank you God for giving strength to the weary…which is what I ask of my morning coffee, revival of the dead and which, it appears, is the goal of our morning prayers, if said properly. With Psalm 90 “A Prayer of Moses” we catch up again with earlier, Biblical themes of morning as rebirth and night as sin, decline and death. For all our days are passed away in Thy wrath; we bring our years to an end as a tale that is told…. זְרַמְתָּם, שֵׁנָה יִהְיוּ; בַּבֹּקֶר, כֶּחָצִיר יַחֲלֹף. בַּבֹּקֶר, יָצִיץ וְחָלָף; לָעֶרֶב, יְמוֹלֵל וְיָבֵשׁ. שת (שַׁתָּה) עֲו‍ֹנֹתֵינוּ לְנֶגְדֶּךָ; עֲלֻמֵנוּ, לִמְאוֹר פָּנֶיךָ. כִּי כָל-יָמֵינוּ, פָּנוּ בְעֶבְרָתֶךָ; כִּלִּינוּ שָׁנֵינוּ כְמוֹ-הֶגֶה. שַׂבְּעֵנוּ בַבֹּקֶר חַסְדֶּךָ; וּנְרַנְּנָה וְנִשְׂמְחָה, בְּכָל-יָמֵינוּ. The LORD upholdeth all that fall, and raiseth up all those that are bowed down. סוֹמֵךְ יְהוָה, לְכָל-הַנֹּפְלִים; וְזוֹקֵף, לְכָל-הַכְּפוּפִים. עֹשֶׂה מִשְׁפָּט, לָעֲשׁוּקִים–נֹתֵן לֶחֶם, לָרְעֵבִים; יְהוָה, מַתִּיר אֲסוּרִים. 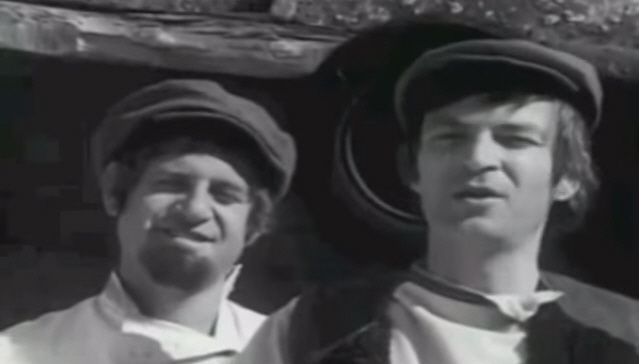 יְהוָה, פֹּקֵחַ עִוְרִים–יְהוָה, זֹקֵף כְּפוּפִים; יְהוָה, אֹהֵב צַדִּיקִים. Clearly there are other themes besides waking in the morning and rebirth which the curator of the siddur is weaving into our prayers, but this radical renewal is certainly the first theme and one that is sustained until the Silent prayer; the Amidah. You are mighty forever, my Lord; You resurrect the dead; You are powerful to save. He sustains the living with loving kindness, resurrects the dead with great mercy, supports the falling, heals the sick, releases the bound, and fulfills His trust to those who sleep in the dust. Who is like You, mighty One! And who can be compared to You, King, who brings death and restores life, and causes deliverance to spring forth! You are trustworthy to revive the dead. Blessed are You Lord, who revives the dead. Our theme ends with Modim Anachnu מוֹדִים אֲנַֽחְנוּ, the public version of the very private Modeh Ani מודה אני which which we began our morning. 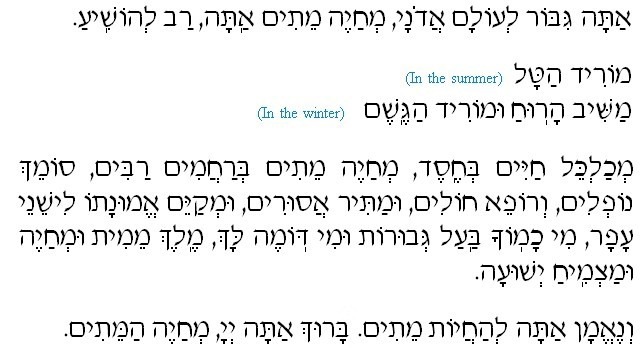 It is not only in the plural, but since the Amidah is chanted morning, afternoon and night, it covers our whole waking day, and besides repeating the sense of dependency it introduces the wonder and awe we have for the miricle that is life. It ends, as Modeh Ani began; with gratitude (Thanks – הוֹדוֹת). We thankfully acknowledge that You are the Lord our God and God of our ancestors forever. You are the strength of our life, the shield of our salvation in every generation. We will give thanks to You and recount Your praise, evening, morning and noon, for our lives which are committed into Your hand, for our souls which are entrusted to You, for Your miracles which are with us daily, and for Your continual wonders and beneficences. You are the Beneficent One, for Your mercies never cease; the Merciful One, for Your kindnesses never end; for we always place our hope in You. And for all these, may Your Name, our King, be continually blessed, exalted and extolled forever and all time. And all living things shall forever thank You, and praise Your great Name eternally, for You are good. God, You are our everlasting salvation and help, O benevolent God. Blessed are You Lord, Beneficent is Your Name, and to You it is fitting to offer thanks. וְהַמְרַחֵם, כִּי לֹא תַֽמּוּ חֲסָדֶֽיךָ, מֵעוֹלָם קִוִּֽינוּ לָךְ. בָּרוּךְ אַתָּה ה’, הַטּוֹב שִׁמְךָ וּלְךָ נָאֶה לְהוֹדוֹת. Looking forward to exploring more themes in Jewish Prayer the future…..
We have explored in the previous post, the major elements in the structure of the divine birth of biblical leaders. While Isaac provides the clearest example of a miraculous/divine birth to a barren mother and impotent father, and re-birth/resurrection at the hand of God (the akedah/sacrifice of Isaac), Isaac is not an isolated case. Once we recognize the structural elements of divine birth, it is easy to see how important it was for Isaac’s son; Jacob to be separated (exiled) from his parents and to die and be re-born (see story of angels going up to heaven = death, and coming down = re-birth Kunin p 119-20) and struggle and die and be reborn and re-named again (see story of death struggle with angel and new name ‘Israel” Kunin p 129). Once one recognizes the pattern one comes to expect that biblical leaders are never the first born, are born to barren mothers, rejected and abused by their community, struggle and consigned to symbolic death and reborn. It was only later, after the destruction of the First Temple and with the emergence of the idea of a single savior, that the structure of the ‘divine birth’ became identified with a single, unique individual and a unique eschatological moment in history. It was only later that the emphasis on divine birth became the miraculous as opposed to the not-natural. Daniel Boyarin, in his best seller; The Jewish Gospels; The Story of the Jewish Christ, shows how many concepts, previously thought to have been innovations of Christianity, actually have clear antecedents in Judaism. 13 I saw in the night visions, and, behold, there came with the clouds of heaven one like unto a son of man, and he came even to the Ancient of days, and he was brought near before Him. 14 And there was given him dominion, and glory, and a kingdom, that all the peoples, nations, and languages should serve him; his dominion is an everlasting dominion, which shall not pass away, and his kingdom that which shall not be destroyed. Boyarin writes: “At a certain point these traditions became merged in Jewish minds with the expectation of a return of a Davidic king, and the idea of a divine-human Messiah was born. This figure was then named “Son of Man,” alluding to his origins in the divine figure named “one like a Son of Man/a human being” in Daniel. In other words, a simile, a God who looks like a human being (literally Son of Man) has become the name for that God, who is now called “Son of Man,” a reference to his human-appearing divinity. So just as the ‘Sacrifice of Isaac” actually refers to the survival and re-birth of Isaac… the ‘not-sacrifice of Isaac’, so too the reference to the awaited messiah as the son of man was actually a tag for he who was divine and only ‘like’ a son of man… the ‘not-son-of-man’. Earlier references to God giving birth to a King did not originally have any hints of incarnation of the deity as king, but were taken as a sign of intimacy: “I will be to you as a father, and you will be to me as a son.” (Boyarin pp 28-29), but once the “one like a Son of Man” concept emerged, along with the messianic king, it changed the way these references were read by pre-Christian Jews. 7 I will tell of the decree: the LORD said unto me: ‘Thou art My son, this day have I begotten thee. I would add to Boyarin that not only does Christianity draw many of its core theological concepts from prior Biblical traditions, but in so doing, Christianity becomes a receptacle and valuable resource for Biblical students to uncover those concepts which may have been suppressed, repressed, fallen into misfavor, or just forgotten. It seems to me that divine birth as it appears in Genesis is one such core concept that has been eclipsed. The fact that latter Jewish messianists and Christians modified it to refer to a singular individual and put the emphasis on the redemptive and supernatural (magical) divine powers of this not-son-of-man, should not dissuade us from uncovering the original function and meaning of divine birth. It seems to me, that the divine birth revealed in Genesis emphasizes, not so much the divine nature of the biblical leader, but rather a disruption with the constraints of his natural birth. The divinely born breaks free from the ties to his place of birth and his parents. The divinely born does not benefit from the natural birth order and primogeniture… he breaks down a culture of entitlement and ‘natural’ hierarchy of class. The divinely born succeeds through the sweat of his brow, overcomes rejection and suffering, and finally, the divinely born believes that he can be re-born, that nothing is impossible and nothing, not even his persona (name), and least of all, his destiny, can not be changed. The divine birth I find in Genesis introduces a covenant with God (cut between the pieces) which is a rejection of natural law (and natural birth) and embraces culture, learning, and other human/divine conventions where change, sanctioned by the divine is possible and blessed. Divine birth presupposes a covenant with the divine which transcends any contract or deal with the powers that be. Divine birth presupposes a divine covenant which breaks with the accepted political structure… it speaks truth to power. Divine birth was and is a true gift of the Jews.